Pretty much everything active kids could wqnt to do. Safe and lots of variety. 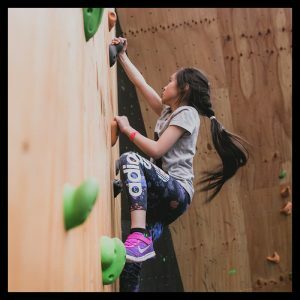 My kids love the rock climbing area. It's a nice change from the all trampoline places. Better than all trampoline parks by far. It is so big and it never gets boring. The staff are all so friendly. Adults beware - you are not 15 again - neither is your back or your knees/ankles. Fun place. So much better than bounce! The staff and facilities are so much fun !!! We recently visited Rush for our school's fundraiser and cannot recommend highly enough. While my older kids had an absolute ball, I have to commend the staff for taking the time to help my youngest through all the activities. He is usually so reserved and shy but the staff were patient, extremely helpful and reassuring which gave him the confidence to tackle everything in the center. Thank you for making it such a memorable and fun event. We will be back! Every time we go to Rush the kids have a great time. Our school had a “jump” nite recently and it was a great success- children and adults had fun! Clean facility and friendly staff and owners-Nat and Trev were so helpful. We will definitely be visiting again soon! Thank you to Brooke and Jess for making Sebastian's 6th birthday party a big hit with all of the kids!! Fantastic job ladies!!! My Kids love it here. The ropes course is awesome. Deff great place to take the kids during school holidays. Stuff super friendly as well. Our son was at a birthday party at rush. He has a slight disability and was having trouble with the rope section. A staff member helped our son get off the rope section and back to us. At this point my son was crying an upset because he couldnt join in with the kids and takr part. it turns out the staff member was the owner and the kind words you gave to my child about doing so well and trying so hard made his day. The fact you gave us 2 free tickets so mum and dad could join in when the kids were doing stuff he couldn't do blew us away. I would like to say thank you. It means so much to us that you took the time and care to look after our child. We will definitely recommend you to all of our friends and family well done rush hq. Excellent venue for a birthday party. My 11-year-old son and his cousins & school-friends had a great time- the place was well-organised with plenty of staff on close hand to supervise. I would very much recommend this venue. Well organised and supervised. Clean and safe. All staff were well trained and attentive. Pat on the back for you guys. We had a great function there on Saturday Night. We hired the venue and used outside caterers The Hospitality Man. Everyone was saying how great the venue was and how well it worked with Kids and Adults. Highly recommend it. Great space for the kids but it could do with a quiet corner for parents who don't want to be bombarded with all the music and noise while they wait around. I guess I could have gone and sat in my car. I had so much fun here with my nieces and nephew. Absolutely loved the ropes course. Thanks for a great day out! Had a blast! Great environment for all ages, staff were friendly. Made me feel like a kid again! Can't wait to go back. Thanks guys! Took 2 boys there yesterday. Absolute fantastic experience. The boys enjoyed the 2 hours and had heaps of fun.The stuff was professional , helpful and calm ( witch I am amazed by, because there can around 100 screaming kids push you to the limit ) all the time. My tip.. go early at 10 am, it gets a bit crowded later on and the kids may have to wait until its their turn. I take my kid and friends again. We had my son's 8th Birthday party at Rush yesterday afternoon and he and his mates had an awesome time. The booking process was super easy over the phone (I hate online bookings lol) and I was very happy. 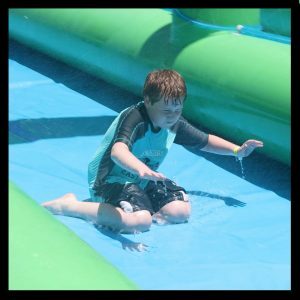 Unfortunately my son had that morning injured his ankle at footy and was unable to do the ropes course but our party host Molly made sure that all other activities were ones my son could be part of even with him hopping around one one foot all afternoon lol! We had the $31 a head package and found there to be heaps of food. 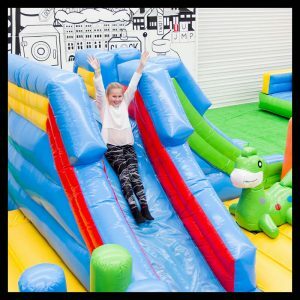 My 4 year old daughter whilst not part of the party had an excellent time too on a junior pass and especially loved the foam pit and inflatable jumping castles. 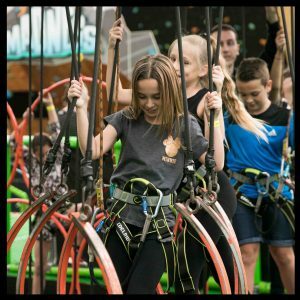 When my son's ankle heals (hopefully this school holidays) he and some of his friends will come back for another go and I know my son is dying to get on that ropes course! Thank you for a great party! I had a small get together for my son's birthday at Rush HQ and i have to say our experience there was amazing. The Manager - James was so accommodating. He was so professional and well mannered. I didn't have a booking and just walked in with 7 Boys and there were no issues at all. Even though a couple if the kids were late there was no issues with getting them sorted and straight out to play. Thank you all for your amazing hospitality and making our day great. We will Definitely be back very soon. Thanks James & the Rush HQ crew. Keep up the amazing work you do for the kiddies. Had my daughters birthday party here today absolutely hassle free well taken care of all round. Thanks Molly wonderful host nothing was too much trouble. Highly recommend. Great establishment with excellent staff & facilites. Recently attended a school function at Rush & can't praise management enough for coordinating a great fun night for both the kids & adults. Kids had a wonderful time which is the main thing!Only thing is that the canteen there had only fried food � not healthy and poor nutrition... not even one option of sandwich... and it has a notice not to consume food from outside... well... too much to ask sorry.It too 40 minutes to a small pizza to be ready . My son had an issue last time he went with his carer, and this has been handled brilliantly by Natalie the owner. Thank you for all you have done to sort this out. We will return when we can, as it is one of my son's favourite places. We attended a party at Rush Hq Rowville yesterday and all had a wonderful time. Our two young boys had a fun time as did us adults. The staff were so friendly and accommodating. Wherever we turned there was a staff member keeping an eye on the kids which was fantastic. The food was delicious and there was lots of it. My kids definitely want to have birthday parties at Rush. Thank you so much for a great time. So accommodating! Kids had a fantastic time . Definitely the place to be. Safe and friendly. Couldn't ask for more. Great place, professionally run family business, nothing's too much trouble, awesome staff, can't recommend them highly enough!!!! We were there today and I was absolutely amazed at the generosity of the owner. Can not thank you enough for your kind gesture. All 4 of my children had a blast � thanks again!! My teenager and his mates had a perfect day out at Rush HQ highly recommend. Natalie was a awesome help and does a brillant job.. would go back again. Took 12 girls for a party on a Friday night. Staff are fantastic and really engaged with the kids. Great way for the kids to spend a couple of hours. Daughter had her birthday party on sat, kids love here so much! It was a well hosted party, staff was nice and helpful, with extra play time provided! Thanks for giving us a wonderful party time! Great set up, staff were great & kids had a ball!! Finding something to do with 9 kids aged between 2 and 12 is hard to find. Rush HQ catered for them all, we even stayed for an extra hour. We went yesterday being school holidays with a group of 8 kids ranging between 3 and 10. There was plenty of friendly supervision on the floor at each jumping area which was lacking drastically in the past. I also liked that they had limited seating for elderly and parents to take a load off. There's been a few positive changes from our last visit on the previous school holidays. I would definitely recommend Rush HQ now. Best trampoline place I've been to! So many activities to do with great assistance from the staff there! Thanks Rush HQ for a great day today. My girls had an absolute ball! We have been to several other centres and found you offer a lot more options for the kids to enjoy. Staff were excellent too. My girls can't wait to come back soon! Not only did the kids have a wonderful time. The staff were fabulous, friendly and welcoming. We would highly recommend Rush HQ to all. Thank you for a fun filled day! Had the best day for my sons party today, the party host we had was amazing! All the kids plus their parents had a great afternoon. We will be back! Great option to have lots of activities under one roof, specially great on a rainy day. Crowded and noisy but that's what you'd expect for these places. Love it kids had a ball kept them entertained for hours great value they are asking to come again. Brought my 2&half yo here to burn some energy and he Loved it! $12 unlimited all day! Great deal. Perfect way to spend a day off school for the kids. Will be back next curriculum day. The $12 unlimited all day ticket was perfect for our curriculum day. Came with a few friends and the kids disappeared. The $5 lunch offer was also awesome. Friendly staff, fun facilities. Made the whole day a breeze. MLMC Loved it. Year 8 kids, enjoyed all rotations, and the high ropes course. Lots of happy faces in the photos, we took Thanks Nick and staff. My boys had a great time at Rush. They particularly liked The Gauntlet ropes course. 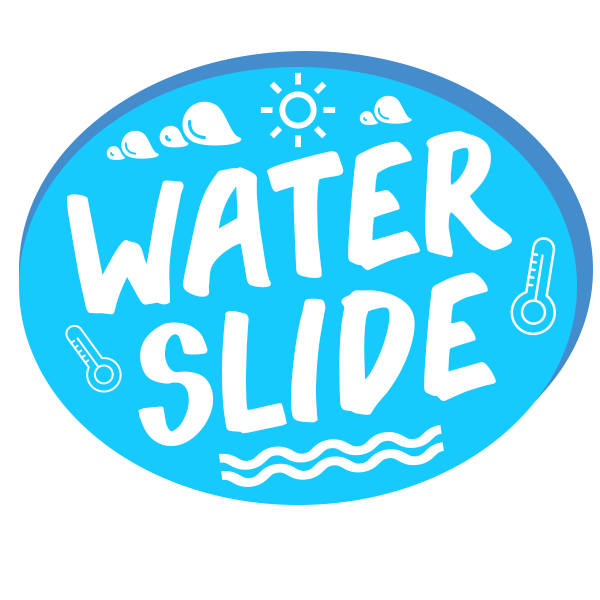 Different to other play centres and trampoline centres. We'll be back! My nieces and nephews loved it! Had a blast. Will definitely go back. What a fantastic venue! 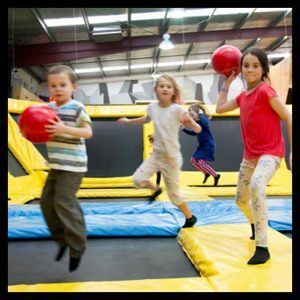 Booked my son's 7th birthday there - our party host was great with the kids, it was well organised, the kids got to try all of the activities and upon booking we were given a bonus hour jump time (which turned into 2 hours!) as well as a three month free entry pass for the birthday boy.Would definitely recommend this place for kids of all ages. It was awesome, so much to do!! Work up a sweat while having fun, will be going back that for sure. Totally awesome & fun, my 2 year old had a ball. Thank you to Rachel for her friendly & great service, nice to chat to you. Great way to burn of some energy for the kids... AND THE ADULTS! Our whole family loved it! I was at Jump Factory today with four little ones and I just wanted to say how impressed I was with your facility. The facility was clean and extremely well organised. There were also plenty of friendly staff on hand to supervise the kids and ensure everyone was playing fairly. The thing that impressed me most was that we had a very petite four year old girl with us and she was treated exactly the same as every other kid and was not disadvantaged at all. What a wonderful day we had! My kids love Jump Factory. And the staff at Rowville are super friendly. Ace for kids..... ace for mums ! Jump factory is such a great place. The staff are good to chat with, care about everyone and can teach you some new skills. I would definitely recommend to everyone. Definitely coming back here again. Best fun for all ages. Our daughter had her 8th birthday party here on the weekend with 16 of her friends. The party was well organised and the kids were supervised the whole time. The staff were very friendly and only too happy to help. All the kids had a fabulous time. Just had my 8yo daughters party here, with boys and girls from 7 to 12yo, all the kids had great time, unlimited slushies were a hit as was the yogurt bar and party bags! All I had to worry about was a cake....but if you ask, they do that too!Brilliant! Super addictive for everyone. An amazing venue for a day out as a family or a party. Loving it. My children were at The Jump Factory for the first time yesterday. Brilliant!! 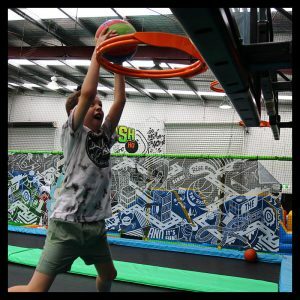 Fantastic activities - basketball, little kids area, bungee etc etc. It's clean, well-air conditioned, well-staffed great coffee & easy parking. Finally, a first-class activity centre in Rowville. Well done. Will definitely be back!! What a great place for our community. Kids loved it!!! Fantastic!!! We were the first in this morning and the girls had so much fun! We will be back! 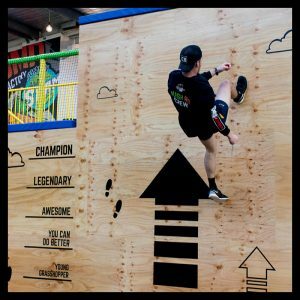 Jump Factory is the newest coolest Trampoline indoor JUMP facility. Love it!!! Don't sit at home! Get your friends and family and go for good old bounce! AWESOME birthday party experience in Melbourne!